There was a time when graduation day signaled the end of an educational journey, but today’s changing workplace environment means that learning is a continuous process (Real Business). Having a culture of lifelong learning in an organization brings benefits for the employer as well as the employee as the continual development results in motivated staff and a diverse skill mix at work. 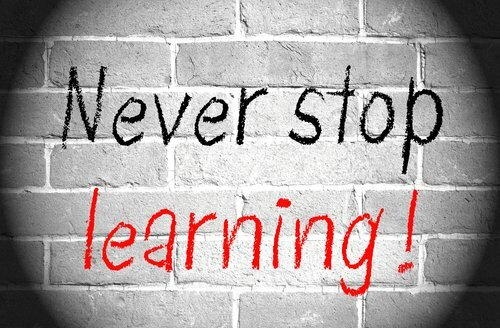 Here are just a few ways in which lifelong learning opportunities can enhance the workplace. The internet has opened up a wide range of learning opportunities for employees. From Mass Open Online Courses that are free to e-learning modules, there are many choices for people in the workplace to learn new skills. The workplace is changing rapidly too with the advent of digital technology. This in itself is a learning environment as new technologies are used and developed at work. The retail sector is one area where e learning is making an impact. Having e learning minimizes the time staff spend away from the workplace and can be done in a flexible way. The retail giant Tesco has implemented an e learning program which includes leadership and management modules and is set to be rolled out internationally. E learning can bring consistency to education across several organizations. The award winning E learning for healthcare in the British National Health Service is an example and has certification for participants from professional colleges such as the Royal College of Surgeons. There are several emerging trends in E learning. Many courses use video links as these provide a practical example to support written learning. Students have been shown to remember up to 50 percent of content from a video compared to 10 percent of textual material. Micro teaching is another emergent trend and enables people to learn in small sized lessons online. This fits well around work flexibility. By having a working environment focused on learning the culture will focus on developing others, reflection and more. Have a work-based library with resources, signpost people to e-learning opportunities, and set clear goals for workers. Encouraging reflection on learning from experience will help employees gain insight into their abilities and areas for further development. This also helps avoid a blame culture and fosters a positive learning environment. Working alongside a senior colleague is an excellent way to get some insight into how another system works or gain practical skills such as chairing meetings. By shadowing a colleague for a period of time there are lots of opportunities to get some real world on the job experience (Personnel Today). And for the senior executive, scheduling a back to the floor day or working with a specific department can highlight ways in which an organization needs to improve by learning from the experience of the junior staff (Personnel Today).Another opportunity with shadowing is for more mature workers to spend time with a junior employee to upskill on new digital skills and other e-learning opportunities that were not around when they started out in the job. This helps get the workforce current and up to date. Projects offer a wide range of lifelong learning opportunities. They bring change and innovation into a department and are ideal for learning how to implement something new. Offering project management experiences gives employees the chance to implement a major change and the learning associated with this and key management skills. Project management is a transferable skill and can give employees the stepping stone to promotion or a career change. Opening up lifelong learning opportunities in a working environment is an excellent way to retain, recruit and develop staff to the next level. This, in turn, will benefit your workplace by having highly motivated staff who continuously develop their careers.